Double pane glass is an OPTION on the W222? I might just lose my shi*. This is an official MB video. During this video, it is mentioned that you can buy the S with an optional package that gives you double pane windows for added noise insulation. WTF - an option? I'm going to lose it. On the E class in Canada, the Acoustic Comfort package is not an option, so you cannot buy the E class in Canada with dual pane windows. My understanding on the S class is that it does come with that in Canada (double pane windows), and based on what I saw on the showroom floor, they are dual pane windows. That said, is it really an option, and if so, how do I know for sure if it comes with this in Canada? Is there a package code? My understanding in the states is that all S class sedans come with double pane or laminated glass. You can tell by looking at the edge if the glass when it is rolled down partially, it is two thin pieces of glass laminated together. Never seen it as an option here, they all have it. It's possible though, in some markets you can get a very base model S class. Here is one from Germany. For greater comfort in the interior, the panes consist entirely of heat and sound insulating laminated safety glass, which also reflects infrared light. A three-layer acoustic foil in the side windows improves the sound insulation, an additional composite foil the burglary protection. 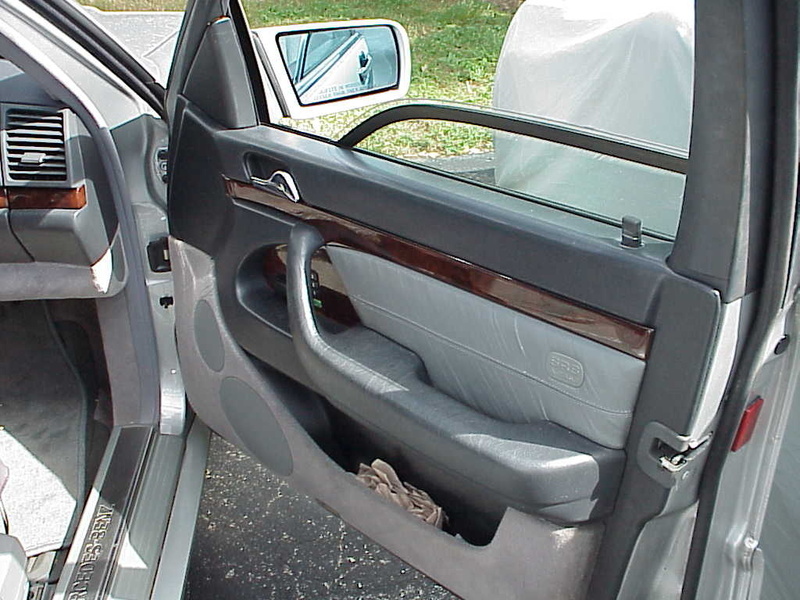 Too bad they don't make the windows like they did in the W140. Those were monsters, especially with the black trim around it. Laminated glass was first used in the US in 1939 by the Ford Motor Company and became a standard item on cars in the US in the late 1970’s. Only for windshields. The other windows are tempered glass. S class Mercedes in the US have had laminated glass side windows for several years. Can anyone speculate why Mercedes does not use the heat and sound insulating infrared reflective laminated safety glass on the pano glass roof? Probably something to do with having to have the seal around the edges. The side glasses and windshield are all sealed on the sides, not the edge. The roof panel (at least what moves) has seals around the outside. Needs a flat surface. My assumption anyway. You have a shade for the pano roof too, which helps some. I do hate the amount of heat they let in in the south FL sun. Interestingly enough on MY19, package 595 is not on it. 596 is on it though. "Tinted infrared reflecting glass" (as per the Canadian guide). I wonder if that's dual glazed? Interestingly enough package 596 here, https://www.google.com/url?sa=t&rct=j&q=&esrc=s&source=web&cd=14&ved=2ahU KEwiHuqzW2PvcAhVK54MKHU-lAMo4ChAWMAN6BAgHEAI&url=https%3A%2F%2Fautokinito. com.cy%2Fassets%2Fcic%2Fmercedes%2FMERCEDES-S-Class.pdf&usg=AOvVaw1LB9gaW14EqsuYWg3ChO3o, lists it as "Heat insulated, noise insulated, and infrared reflecting laminated glass"
Last edited by superangrypenguin; 08-20-2018 at 09:05 AM. Interestingly enough package 596 here, https://www.google.com/url?sa=t&rct=...4EqsuYWg3ChO3o, lists it as "Heat insulated, noise insulated, and infrared reflecting laminated glass"
Not so much of a problem usually in the UK! The W140 Is so over engineered it is just unreal. Nothing is made like a W140. Quick Reply: Double pane glass is an OPTION on the W222?